If you’ve heard of fatty liver and diabetes mentioned in conversation, there’s a good reason – they share an intimate connection. In fact, study after study suggests there are two things that lead to increased development of fatty liver in people with type 2 diabetes – obesity and uncontrolled A1c levels. Experts estimate anywhere from 6% to 46% of the general population is affected by fatty liver. As a person with type 2 diabetes, the chances of you having a fatty liver are about 80%! 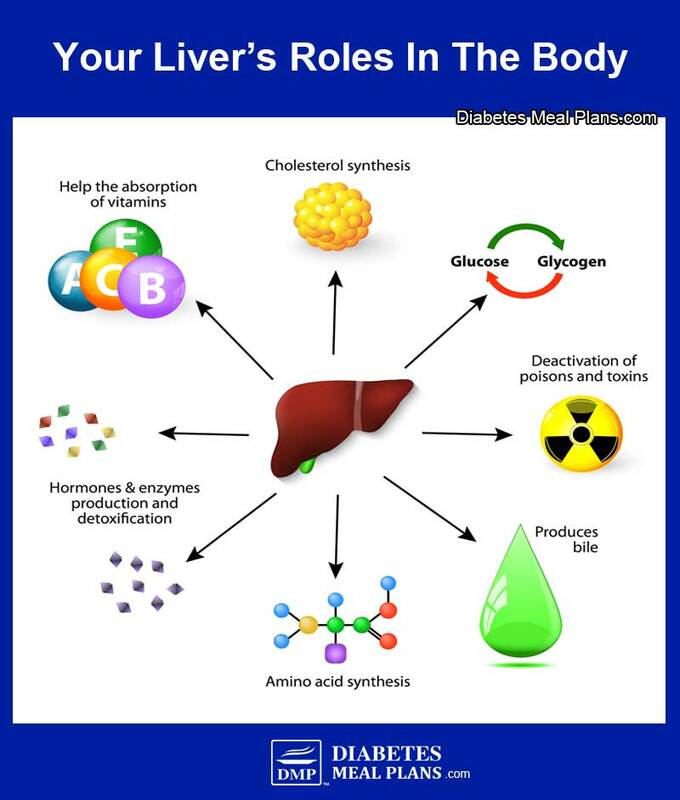 Your liver is the second largest organ in your body. It filters everything you eat and drink, medications you take, and any toxins you may inadvertently consume. And it is intricately involved in metabolic and hormonal balance. Fatty liver is a concern because it influences how your metabolism is working, including blood sugar regulation. And if left unchecked, a fatty liver can increase your risk of heart disease. So what exactly is a fatty liver and what can you do about it? Read on to learn more. Non Alcoholic Fatty Liver Disease, or NAFLD, is a general term that refers to a build up of fat in your liver. As the name implies, this condition is different from Alcoholic Liver Disease, which is caused by excessive alcohol consumption. simple fatty liver – a reversible condition. 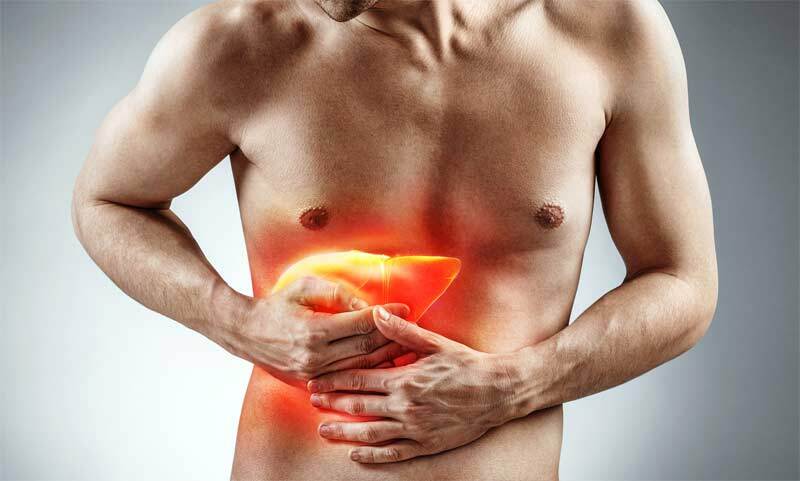 nonalcoholic steatohepatitis, or NASH – the liver cells are inflamed and possibly damaged. This can lead to permanent irreversible liver scarring, also known as cirrhosis, which could potentially lead to liver failure if the damage becomes severe. People with NAFLD can develop NASH (around 10-25%), although it is not entirely clear why. Everyone has some fat naturally in their liver. When the weight of fat contained in your liver exceeds 5%, it is considered simple fatty liver. This build up of fat occurs because there is an imbalance between inward and outward flow of fatty acids in the liver. Another way to think of this is that there’s an alteration in the way your body metabolizes fats. What Are The Risk Factors For A Fatty Liver? Type 2 diabetes (or family history of diabetes) – especially uncontrolled diabetes, for instance, having high A1c levels. Certain medications can also put you at risk of NAFLD, although this is a much less common risk factor compared to the general risk factors described above. Please pin, share or tweet; then keep on reading. 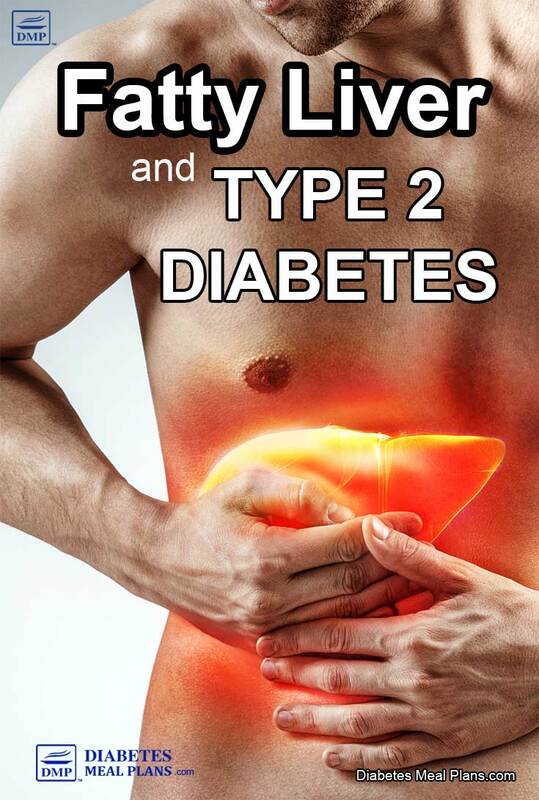 Due to insulin resistance, people with type 2 diabetes are at a higher risk of developing NAFLD. Changes in hormones such as insulin, along with the presence of insulin resistance, affect enzymes in your body, and this causes an increase in free fatty acids, which can flow into the liver. Other aspects of metabolism become affected too, such as an increased production of fat formation (called lipogenesis). These factors are promoted by high blood sugar and high insulin levels, which leads to a chain of metabolic events that drive up fat production in the liver. And a cycle can occur where there is an imbalance between inward and outward flow of fatty acids in the liver. Factors associated with insulin resistance can promote NAFLD, but it also works in reverse, meaning that your fatty liver further promotes insulin resistance. That means doing what you can to reverse and improve liver function, is also very important to your diabetes treatment. Your diet also plays a key role in the production of excess liver fat. Your liver cells will convert excess glucose (carbs) into fat. If you’re consuming excess glucose (carbohydrate) and not utilizing it for energy, then the excess will be stored as fat. Some of the fat is stored as abdominal (belly) fat, whereas it can also be stored in other cells including your liver. Fructose in particular has been shown to increase fat deposits in your liver. We encourage all people with diabetes and prediabetes to limit their intake of fructose-containing foods. Most people who have a fatty liver experience no symptoms at all. In fact, even if the condition progresses to NASH or cirrhosis there are rarely noticeable symptoms. Some people (but very few) may notice a discomfort in the right upper quadrant of the abdomen. And jaundice, or yellowing of the eyes and skin, can be a sign of liver cirrhosis. How Does A Fatty Liver Get Diagnosed? Since there are relatively few symptoms of NAFLD/ NASH, the diagnosis is often accidental. This means your doctor may bring up concern of NAFLD during routine blood work or an unrelated abdominal imaging study. In some cases a liver biopsy may be warranted as this is the gold standard of diagnosing NAFLD. One of the first signs of NAFLD is an abnormal liver test identified through blood work. Inflamed liver cells may leak higher-than-normal amounts of transaminase (enzymes) into your bloodstream. Alanine aminotransferase (ALT) and aspartate aminotransferase (AST) are the two enzymes of particular interest. And while both are elevated in NAFLD, you will classically find that ALT exceeds that of AST. Abdominal ultrasounds and magnetic resonance imaging (MRI) can also aid your doctor in diagnosing NAFLD as fatty liver will show up differently on these scans. Although, imaging studies are unable to differentiate between simple fatty liver disease and NASH. Your doctor will recommend if he or she feels you need a liver biopsy to diagnosis NAFLD, though, for some people it’s impractical or cost prohibitive to have a biopsy completed. However, a biopsy can differentiate between NAFLD and NASH. By analyzing the tissue itself, your healthcare team can better assess the amount of inflammation in your liver, the amount of permanently damaged cells, and of course rule out any concern for malignancy (cancer). NAFLD is not caused by heavy alcohol consumption. In order for a true NAFLD diagnosis, a person must report abstinence or very minimal alcohol consumption (<20g/day). The good news about all this, is that there is evidence that fatty liver can be prevented and reversed. That’s why it’s imperative to take action as soon as possible, because once permanent damage occurs it cannot be reversed with any intervention. Research involving over 5000 participants with type 2 diabetes demonstrated that 12 months of intensive lifestyle intervention can result in up to a 50% decrease in liver fat deposits. The intensive intervention included losing 10% of one’s body weight, and completing 175 minutes of exercise daily. While 175 minutes of exercise per day may seem excessive, try starting with at least 30 minutes a day, or even 10 minutes if that's all you can do – any exercise is better than no exercise at all! And if you are overweight, aiming to lose a few pounds is a great goal to pursue – both exercise and dietary changes can help with that. Controlling blood glucose levels to promote proper glucose utilization and prevent exacerbation of insulin resistance is another key to success. The best way to achieve better results is to change your diet. Based on research, and the success of our members, lowering blood sugar and A1c is more easily achieved by following a low carbohydrate diet. Check out our free ‘get started' resources. And we'd highly encourage you to consider our weekly low carb meal planning service – it's changing lives! Let us help change your life too! The type of fat (fatty acids) you consume can determine how your body uses them and even where the fat is stored. Long chain omega-3 fatty acids are classically known for their anti-inflammatory effects and may be useful in the treatment of NAFLD. A 12-month study found that adding 1 gram of omega 3 fatty acid supplementation improved NAFLD. Another larger study (2008) also found omega-3s of great benefit to a fatty liver. After 24 weeks of supplementation, 20% of group A was downgraded to zero (no fat in the liver present), compared to just 7% in group B. Medium chain triglycerides (MCT) are another type of beneficial fat. MCTs are known to be transported directly into the liver via the hepatic portal vein; this is different to how any other fat is metabolized. Due to this mechanism, they have been shown to increase fat burning in the liver. Coconut oil is one common source of medium chain triglycerides. Interestingly, researchers have shown that people with simple fatty liver have very different gut bacteria compared to those who progress to NASH (the more severe type of fatty liver disease). This means you can manipulate your gut bacteria to help treat your fatty liver. One way to do this is by encouraging the production of Short Chain Fatty Acids (SCFAs). Supplements containing probiotics is another plausible treatment for NAFLD. A meta-analysis of studies concluded that probiotics significantly improved liver enzymes ALT and AST, as well as an improving total cholesterol and insulin resistance. Another nutrient intricately related to your metabolism is vitamin D. This vitamin was initially thought to only assist with calcium regulation and bone health, but it is now well known that vitamin D is a key player in your immune health, gut health, reproductive health, and endocrine (blood sugar/ hormonal) function. As we spoke about earlier, insulin resistance, or metabolic syndrome, is a main risk factor for fatty liver. Research has consistently shown than supplementing with vitamin D can improve insulin sensitivity, and therefore improve glycemic control (blood sugar regulation). Furthermore, vitamin D deficiency is commonly associated with NAFLD and studies are beginning to examine the role vitamin D has on NAFLD markers. It has been proposed that vitamin D may play a role in the progression of liver disease. So being that vitamin D deficiency in diabetes is common, it may be wise to discuss your vitamin D status with your doctor and utilize supplementation as needed. Two final supplements worth noting are milk thistle and apple cider vinegar. Milk thistle has long been known to have amazing health benefits for the liver, including providing anti-inflammatory and anti-fibrotic properties. Apple Cider Vinegar (ACV) can aide in blood glucose management by improving insulin sensitivity by as much as 34%. ACV is a natural liver cleanser and helps improve gut bacteria too. Try taking it before meals, it helps lower blood sugar too! It's not just your pancreas that's important to consider in diabetes treatment because your liver is also intricately involved in metabolism and blood sugar regulation. And unfortunately, fatty liver and diabetes often go hand in hand. The good news is you can prevent or treat fatty liver by making changes to your diet and lifestyle. And adding a few supplements can help too. Hi I,m a type 2diabetic my a1c was up to 9%and I just learned about apple cider vinegar and started drinking it and doing some exercises I feel much better.but I need to check on my liver.thank you for your advices they are very helpful. Glad you have found the information useful, Marie. Re: #1 wasn’t the research article based on 175min activity per week (instead of per day) ? Good pick up Paula, you are correct – we will ensure the article is updated. It would certainly still bring some health benefits, but it wouldn’t have all the same positive effects as it does with the vinegar. ACV is powerful! Hi Emily.. how much quantity of ACV shoud ideally be consumed before a meal? And should it be taken 3-4 times in a day before every meal? 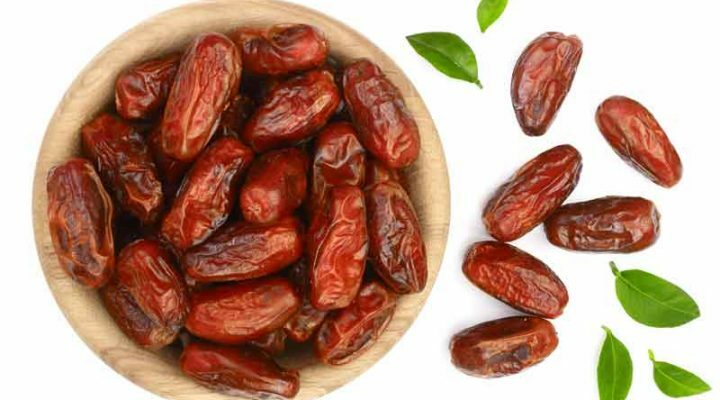 Hi Anisha, Try taking one tablespoon in water 15 minutes before meals. Hi Hafisat, We specialize in diabetes here, not hep b. Please consult with your doctor or healthcare team. How about any information on NAC or N acetylcysteine? We do not have any available at this time Randall, sorry. Hi … I’m a vegan …. who has been diagnosed with borderline diabetes high cholesterol… I’m 5’7’ tall and weight is 64kg … I’m looking to change my diet to fix my high cholesterol levels .. any suggestions? High cholesterol and high blood sugar often go hand and hand, and the commonality between both is insulin resistance. You can read more about their connection over here. Luckily, research suggests that following a low carb diet can improve both and while a vegan low carb diet is a bit tricky to coordinate, it can be done. For starters, you’ll want to reduce the obvious high carb foods like pasta, rice, and potatoes. You can increase your intake of healthy fats such as nuts, avocados, and chia/flaxseeds. And of course, you’ll want to consume plenty of non-starchy veggies for the bulk of your diet. This article should provide a bit more guidance. Wow, what awesome progress! Keto works for some, but if you explore our site a bit more you’ll see that what we find even more effective than keto is low carb. Research concludes low carb is just effective as keto for improving glucose control, but low carb is often easier to adhere to. If there’s ever anyway we can help in your health journey, we’re always available! Hi Emily. I also have diabetes, high cholesterol, high BP, and gout. Lucky to be alive right. I am on the keto diet which helps control the blood sugar but I’m afraid the high fat will have an adverse effect on the cholesterol. I’ve been making Vegan cheese and skim milk yogurt. My doctor hasnt mentioned a fatty liver should I have it checked. I’m a chef so have discovered 100 ways to prepare cauliflower. Smoothies in the mornings. Does eating egg whites help or èven matter? Does high fat meats effect cholesterol? Does the keto diet effect gout? If the keto diet works for you, then that’s fine to continue but just place emphasis on picking healthy fats. Think like coconut oil, olive oil, flaxseed oil, fish, and chia seeds. Try to avoid anything that’s highly processed, those fats are the one that contribute to adverse health effects. However, most research suggests the exact same results can still be achieve with a low carb diet- but it’s much easier to stick too. This will allow you to eat a few more vegetables, nuts, and fruit- but overall you still want to place more emphasis on those healthy fats. Eggs are fine too! More information can be found about cholesterol here and here. It never hurts to bring it up with a doctor, the article mentions risk factors which are important to consider. Work on modifying those risk factors that you can. Awesome! Thanks for sharing and encouraging me to get back on keto, etc. Hi Rey- follow this link for some more information about our meal plan subscriptions. We have a few different options for you to pick from so let us know if you have any questions about your options. You can also check out this list for some of the best low carb foods to include in your diet. What is milk thistle and how do you take ACV? Milk thistle would be found in supplement form and can be purchased at most places that sell vitamins. Remember to double check with your doctor prior to starting any supplement! Apple Cider Vinegar can be diluted with water, and sipped on at any time of day. Find our suggestions in this article. Is the apple cider vinegar vitamins just as effective as drinking it? Sometimes drinking it effects the esophagus. Yes, that would be fine Debbie. If you’re interested in learning more about apple cider vinegar make sure to check out this article! Hi Jeannie, our meal plans are definitely low carb but not keto. Research shows outcomes are the same for both diet styles, yet low carb is generally easier to stick with long term! Find a 2 day sample meal plan over here. You can read more about our meal plan subscriptions, by joining us as a member you would receive new meal ideas each week, in addition to many other resources, which works really well for many! 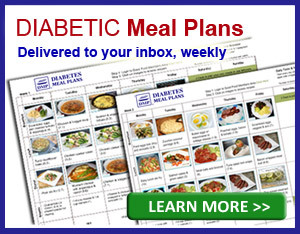 I would like to have free weekly meal plans for type 2 diabetics that would help me lose weight. Hi Sandra, here is a free two day meal plan to help get you started. 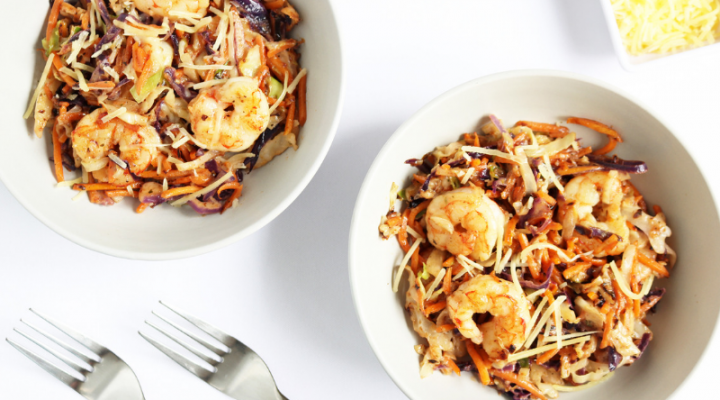 If you like these recipes you may consider joining us as a Member with a subscription to our weekly meal plans. 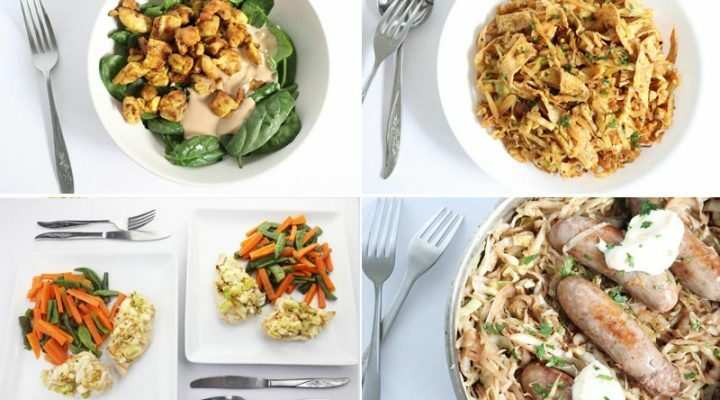 Make sure to explore our blog as well; it’s packed with plenty of delicious recipes and tips for getting started with a low carb diabetic diet!